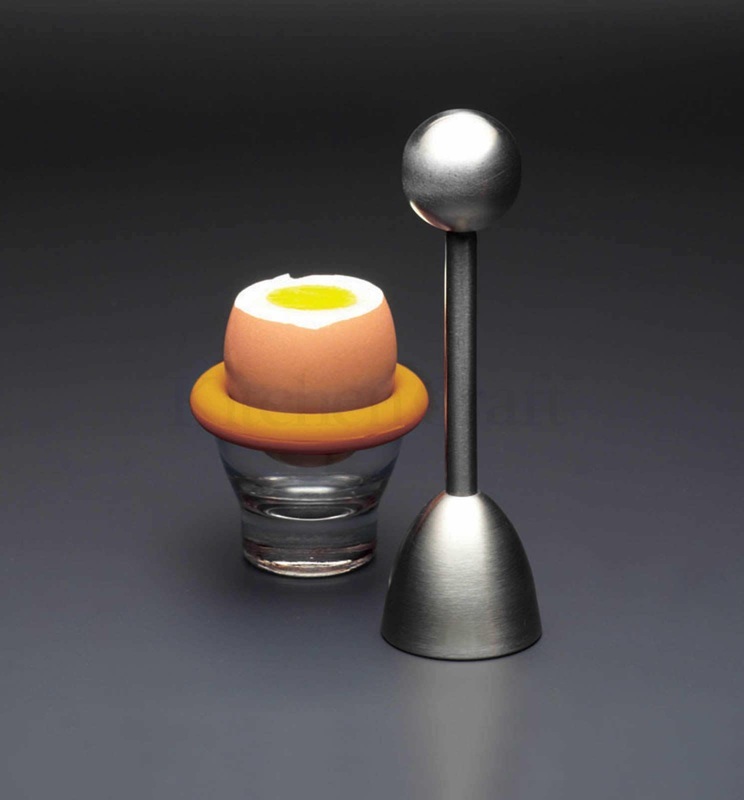 The stainless steel Egg Topper is currently the top selling item in our store. Simply place the Egg Topper securely on the top of an egg then pull and release the handle. The transfer of the force to the sharpened inner edge of the Topper cuts the egg cleanly leaving no residue. With a little practice this gadget can be used on raw eggs as well. A video will be uploaded soon to demonstrate why this gadget is so popular.